My Oasis class starts back next week. I’m looking forward to seeing my group of lovely ladies after the summer break. 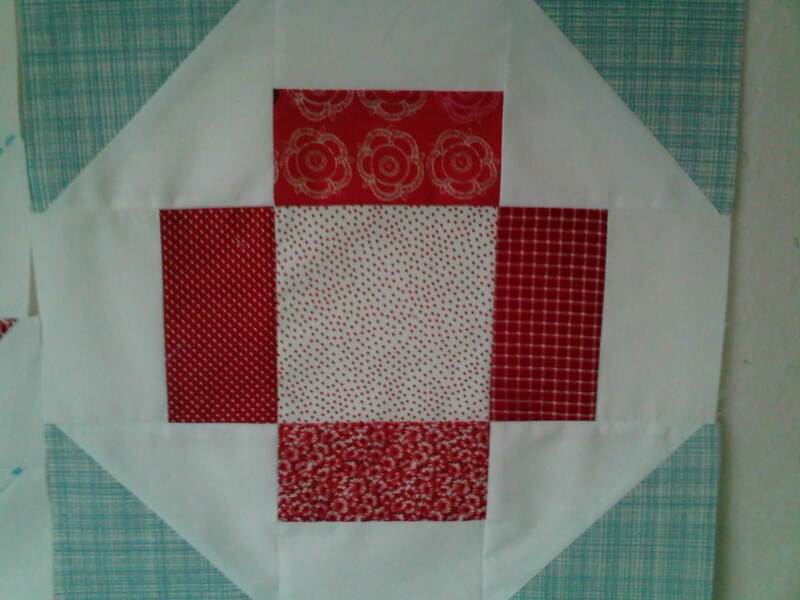 This term, we will be making a sampler quilt, which will be raffled off & the proceeds put back into the Charity. I haven’t done much block work with the ladies, so this will break some new territory for them, and build on their already growing skills. 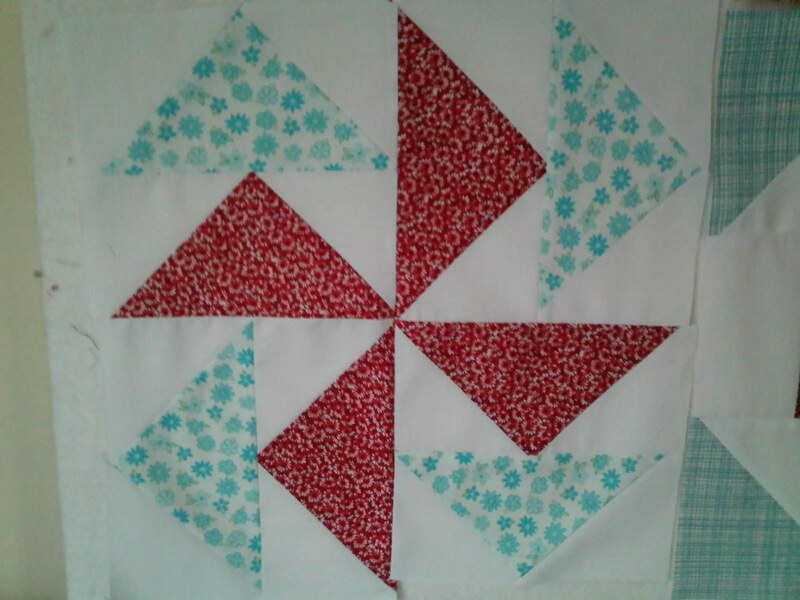 There are so many fab blocks out there in blogland at the moment, traditonal and contemporary. 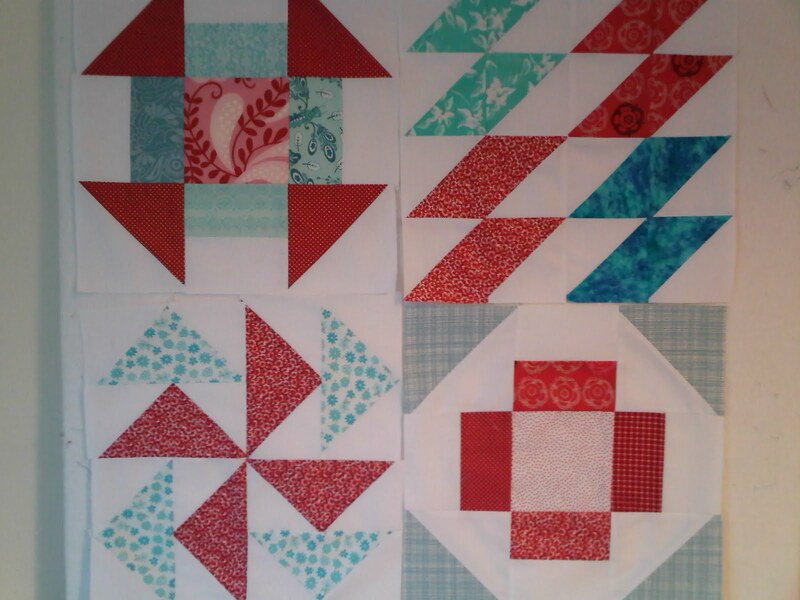 Here’s 4 I dabbled with today, in a red & aqua combo. I’m afraid my fabrics aren’t v.exciting at the moment, but these are samples and will hopefully give enough of a design idea for the ladies. All of these blocks are 12.5″ unfinsihed. 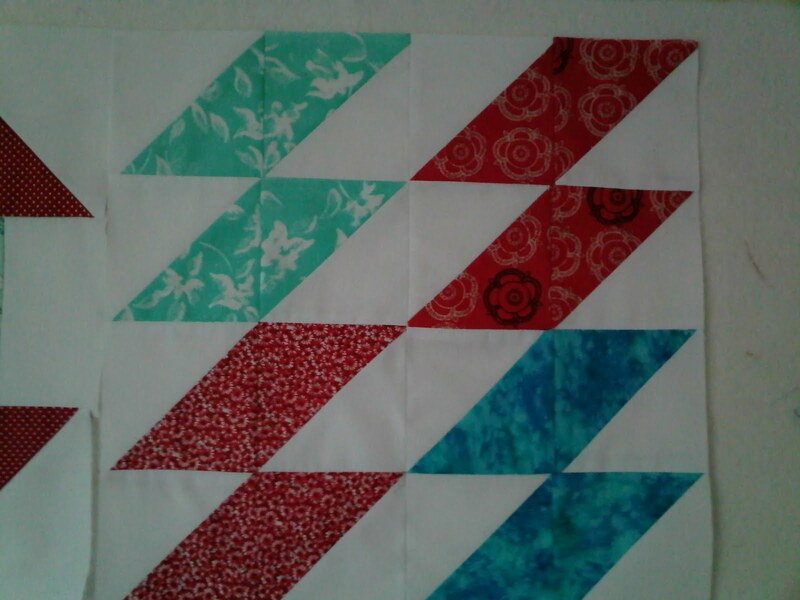 This last block (Dutchman’s Puzzle) went slightly arry – while the points in the centre met up deliciously, the outer edges were out by 1/4″ with each other, meaning if I trimmed them down I’d loose the edge points when it gets sewed onto another block. I obviously went wrong somewhere so I’ll be doing this naughty boy again! 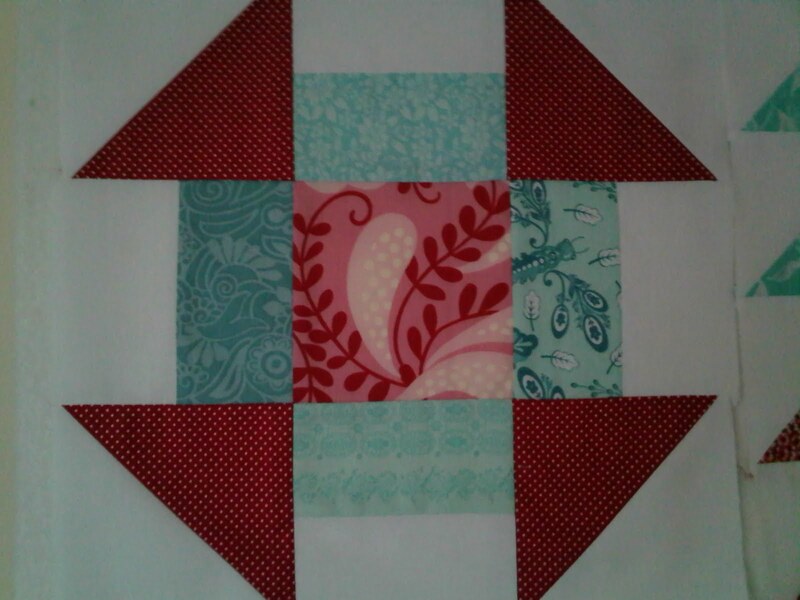 I have a few more blocks I want to try out, but this is what I’ve been up to day. Hope you’ve had a productive Tuesday. Next Next post: Momo Free Bird Giveaway Winner!